We go to a concert hall and see virtuoso musicians performing some of the most adored musical compositions on some of the finest violins and cellos and pianos ever made. 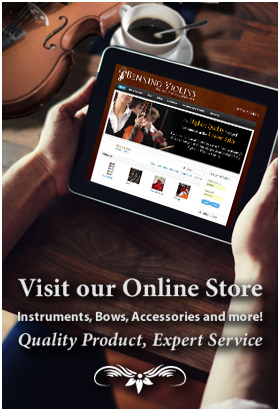 It is difficult to imagine that at one point, these violinists and pianists – and flautists and bassists – were once novice players, taking lessons as children, and setting the timer to assure at last one hour of practice per day. But that’s how a great number of performers begin. A considerable body of research has developed in recent decades on the cognitive, physical, and social benefits of childhood music education. Some of those benefits accrue from any musical instrument study, and some specifically come from learning to play a stringed instrument such as a violin, cello, bass, harp, or viola. Indeed, it contributes to an understanding of math – those notes on a page that represent beat, rhythm, and scales are a lesson in division, fractions, and patterns. It also contributes to an understanding of physics: the interaction of bows and strings involves friction and vibrations in a range of degrees. One need not be a violinmaker to understand these physical properties; the musician understands them from study and practice. Increase a multisensory learning experience– She calls this “whole brain learning,” and she sees benefits in what she calls “Active Concert” and “Passive Concert” modes. The Active version is of course what the player experiences, but even the Passive mode, listening to music while studying something else, increases information absorption. Community building– By another description this is about the interaction of players – a band, ensemble, or orchestra – which involves the shared goals of a community that requires cooperation. They might compete, they might learn from each other, but importantly, they share a goal of creating the sound that an individual cannot create on his or her own. Other benefits, noted by other educators, include having an enhanced application for colleges (in a competitive world, the musician has a leg up over the non-musician), better emotional health (music lowers levels of depression and anxiety), and a strong development of social skills (a music student is more likely to form friends when in a group than not in a group). But consider the posture of the violinist relative to the kid hunched over a computer or in the permanent couch-potato slump of watching television. 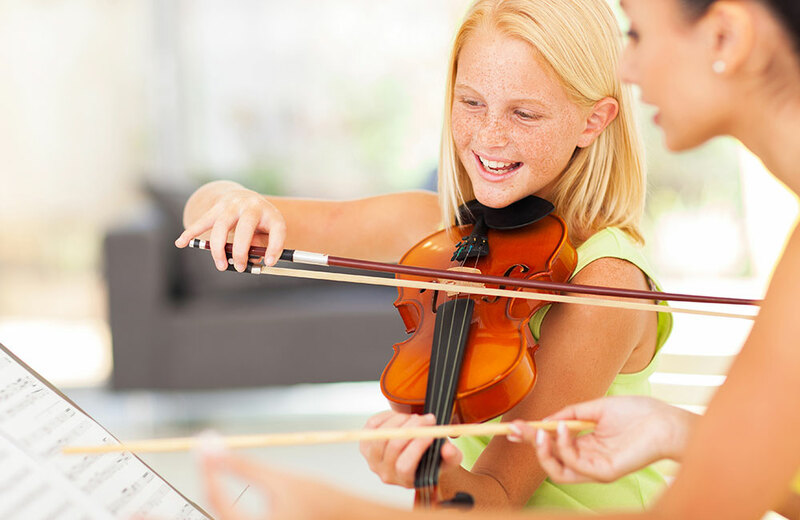 Indeed, the violinist learns to both sit and stand for practicing and performing, a physical advantage not typically associated with music study. Every instrument requires a certain posture for proper playing, but the violinist is very often the star of the show – and needs to look like it.